My cup of tea. I wish I could have taken the mug home with me! Those of you familiar with Petalina and my ramblings will know already of my fondness for Kathe Kruse dolls and their products in general. The reason for this is that their quality is second to none. Everything is always beautifully designed using really good quality materials and finished to an impeccable standard. In seven years of retailing their products, I can count quality problems we have experienced on one hand, and minor things at that – so few problems it is remarkable. Kathe Kruse dolls are quite simply the Rolls Royce of the doll world. Kathe Kruse made her first dolls for her daughters in 1905 and her passion grew into a very successful business which continues today. What I hadn’t realised until this week was just how significant her achievements were, being a woman in the early 20th century, Käthe accomplished so much that other women may only have dreamed of. In Germany at the time, a woman’s role would have been summed up by the 3 ‘K’s: Kinder (children), Kirche (church) and Küche (kitchen). A woman would have been expected to marry and stay at home to look after the children. If single she would work in the service industry in a low paid menial position. Yet in Kathe Kruse we see a young woman with a passion for her idea who follows it through despite many hurdles and builds a really successful business while still looking after her large family. As you read her story you will understand what I mean, that Käthe Kruse was a very strong and capable woman – one gutsy lady. Recently, I was lucky enough to visit Kathe Kruse company headquarters and the Käthe Kruse Museum in Donauworth, Germany. This is where her story has really come to life for me. For a start, I have finally found out how to pronounce her name correctly ‘Kate-a Kruse-a’. Hopefully being Cate myself I will remember this! Born in Breslau as Katharina Johanna Gertrude Simon on 17 September 1883, Käthe was the daughter of her mother Christiane Simon and her father Robert Rogaske, a married man with another family. However, despite these difficult circumstances, Käthe did not grow up fatherless but saw him regularly and had a good relationship with him, as well as having a very loving and supportive mother. Käthe was also very close to her aunt and regularly visited the theatre with her. At the age of 16 she took acting lessons from Otto Gerlach with the dream of becoming an actress and at just 17 years old she was offered a contract at the Berlin Lessing Theatre where she used the stage name of Hedda Somin to establish her career. For the next two years Kathe mixed with artists, writers and performers in the cafe society of Berlin, which is where she met Max Kruse, a well know artist and sculptor 30 years her senior. 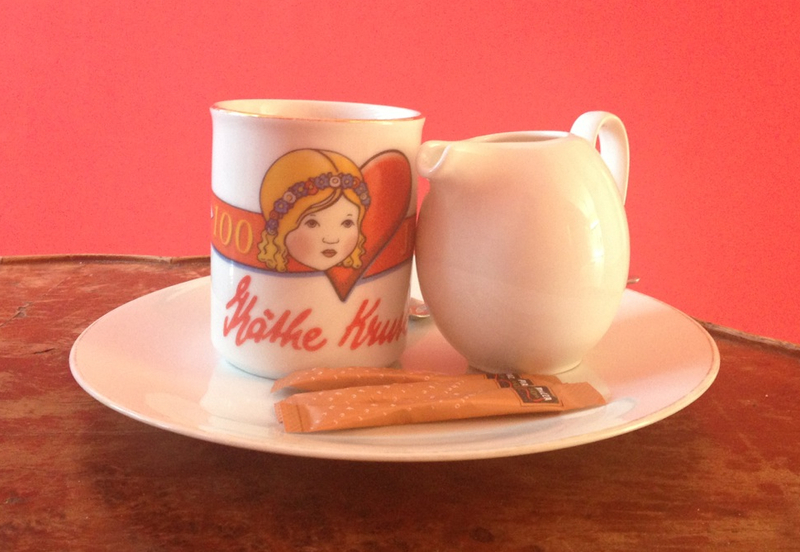 To Käthe, Max was the most handsome man in Berlin and she fell in love. At the age of 19 she became pregnant and gave birth in 1902 to Maria Speranza, known as Mimerle. Max believed that Berlin was not the place to bring up children (he also happened to be married) and moved Kathe and Maria to Italy. Their second daughter, Sofia Ostara (Fifi) was born in Switzerland in 1904. Max remained in Berlin but visited his young family often. I think this in itself tells us how strong a woman Käthe was, coping with young children and no husband away from her native Germany when so young herself. Having a new baby in the house prompted Mimerle to ask for her own baby for Christmas in 1905, and Käthe asked Max to look in the shops in Berlin to see what he could find. 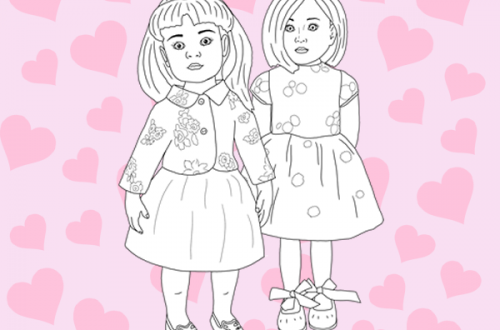 However, Max could only find hard porcelain dolls and encouraged Käthe to make a doll herself which could be cuddled. Käthe was very artistic herself, as can be seen by her self portrait below, so creating a doll was not a problem. She used a soft towel with knots for the feet and hands, and this she filled with sand and a potato for the head. Käthe drew the facial features on the doll using a dead match and they called the doll Oscar. Mimerle loved the doll but after a few days the sand started to fall out and the potato began to smell. However, this was enough to prompt Käthe to develop her doll making skills. You see at this time the only dolls available had been designed by men and were meant for looking at rather than playing with. The dolls were were stiff and hard, easy to break and didn’t look like children or babies at all. Children at the time were dressed like mini adults and so were the dolls. Käthe could see that there was a need for children to have dolls that were soft and could be cuddled and loved. Käthe’s concept was a turning point in the development of dolls as we know them today. In 1909 their third daughter was born, Johanna Ermfriede (Hannerle). Shortly before Hannerle’s birth Max and Käthe were married in Munich, (Max having left his wife for her). Following their wedding Käthe returned to Berlin with her children and started to experiment with doll making skills using a replica of a child’s head by Frans Duquesnoy, a Flemish Baroque Sculptor, which she had found in Munich. At this stage she intended only to make dolls for her own children. However, Käthe’s skills were spotted and she was invited to show her dolls in an exhibition of home made toys in the Tietz Department store in Berlin. Käthe made a series of dolls for the exhibition, all unbreakable and made using natural materials. Her dolls were very well received and both the toy trade and the doll industry were extremely interested. Little did Käthe know but a representative from FAO Schwartz in New York, the largest toy dealer of the time, had seen her dolls at the exhibition and shortly after sent Käthe a telegram with an order for 150 dolls. Käthe quickly turned their Berlin home into a makeshift factory, employed several people and successfully completed the order on time. She had attempted to set up a license with a doll manufacturer to produce her dolls but the quality was not good enough so she continued to make the dolls herself. Very soon after another order was placed by FAO Schwartz for 500 dolls, and this was on top of orders from around Europe! The family grew once more with the addition of their first son and heir, Michael. Clearly the house in Berlin was too small for everything going on and the family moved to Bad Kösen, where Kathe had her first proper workshop in a small house in the Friedrichstraße but soon moved again into larger premises also in Bad Kosen. During these years Käthe and Max’s family continued to grow with the addition of 3 more sons: Jochen (Jockerle) in 1912, Friedebald in 1918 and their last son Max in 1921.
Business was booming and Kathe’s dolls were now world famous, helped considerably by Käthe’s natural talent as a marketeer. She printed her own catalogues, advertised in magazines and newspapers and gave interviews, as well as attending all the the major toy fairs. It’s really difficult to imagine having all of these children and building such a successful company during the early 20th century. To put it into context, women were only given the right to vote from January 1919. Kathe Kruse was, without doubt, one driven lady. Her success was spotted by a certain Mr Bing, a toy manufacturer who started to make dolls similar to those made by Käthe Kruse but using mass production. Not only this but he exploited the good name of Käthe’s dolls by advertising them as ‘imitation of Käthe Kruse dolls’. What a cheek! As you can imagine Käthe was not impressed by any of this and took Mr Bing to court. Despite there being no copyright laws governing toys, with the help of her lawyer, Kathe won the case. This was the first time that copyright had ever been extended to toys and therefore Käthe’s successful lawsuit set a significant precedent for the future. Another major achievement for Käthe! In 1928 Käthe Kruse received a request to make some shop window mannequins the size of children to display children’s clothes, as the shop concerned did not like the ones they had. These too were a great success and Käthe’s company not only made child sized mannequins but made adult sizes too, many with interchangeable heads and wigs. Käthe’s daughter Sofie was involved in the design of the mannequins and Jochen produced wonderful photographs to market them. The production continued until around 1950 after the move to Donauwörth at which time the mannequin business was sold. In 1937 Käthe was awarded a gold medal at the Paris World Fair in recognition of her achievements. However, difficult years lay ahead for Käthe. Max died in 1942 at the age of 88. In 1943 her son Jochen died and in 1944, her son Friedebald. During the war it became more and more difficult to keep up doll production and at the end of the war the Americans arrived followed by the Soviets. Customers had to send in fabric to use for dolls clothes and send in their own hair for the wigs. Bad Kösen was in East Germany so Käthe sent Michael and Max into the west zones to set up production there. Max moved to Bad Pyrmont and successfully set up production there making an inexpensive doll called ‘Child of Fortune’ and Michael moved part of the production to Donauworth. In 1950 the Soviets dispossessed Käthe’s factory in Bad Kösen and in time it was integrated into the soviet system of nationally owned businesses called VEBs. Käthe, now aged 67, fled Eastern Germany with absolutely nothing to her name, to Donauwörth. Many of the workers followed her but others stayed in Bad Kosen with their families. Käthe and her children continued to rebuild the business on it’s current site with Käthe slowly withdrawing from day to day operations. In 1956 Käthe moved to Munich and also that year was awarded the ‘Bundesverdienstkreuz 1e Klasse’, a merit award presented by the Federal Republic of Germany, an honour rarely given to women. In 1953 her son Michael, a qualified physician, left the company to practise in Pretoria, South Africa. Max left the company in 1958 in order to pursue a career as a children’s writer. At this time their sister Hanne and her husband Heinz Adler took the reins with Hanne as the creative force and Heinz looking after the finances. 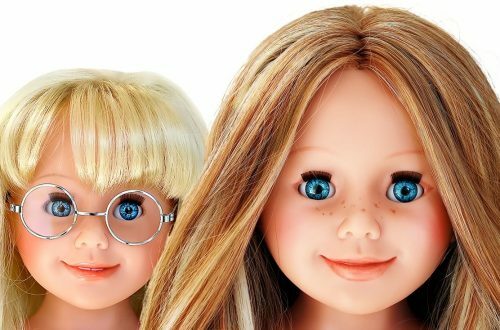 Hanne managed the company for over 30 years and in that time introduced many new doll lines as well as successfully extending the range to include baby and toddler toys. In 1989 at the age of 82, Hanne was awarded with the ‘Bundesverdienstkreuz am Bande’. Like mother, like daughter – another very successful woman in her own right. On 19 July 1968 Kathe Kruse died at the age of 84. And what an eventful life she had led, experiencing and achieving so much, and she will always be remembered for her beautiful dolls. In 1990, just a few months after Käthe’s death, Hanne, now 83, looked for a family member to take over the business but as all of her children were already established in their careers she had to look outside the family fold. Luckily for Käthe Kruse, Andrea and Stephen Christensen were found. Andrea had always loved playing with Käthe Kruse dolls as a young girl and this was the most wonderful opportunity for her. Andrea, Mrs Christensen, has continued to hold the reins and vows to take the company into the future whilst remembering it’s traditions and roots. During my visit I was lucky to meet Mrs Christensen, and what an amazing woman she is – intelligent, driven, business minded, inspiring, and I’m sure a tough cookie too, just like the company’s founder, Kathe Kruse. First posted on Petalina’s original blog on 19/6/13. I think it was in 2014 that Kathe Kruse became part of the Hape toys group and Andrea Christensen left the company. With guidance from Hape the company has tried to find it’s way. Their baby and nursery products continue to do very well but the doll ranges were deliberately reduced. 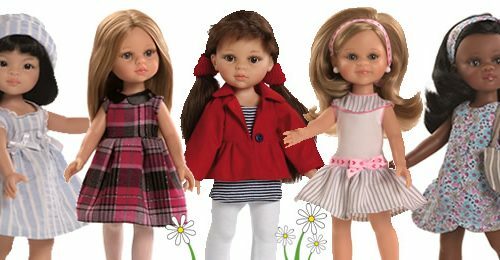 In 2017 the Kruselings were introduced and they have been a huge hit, but made in China and not Latvia, and in 2018 a few more Mini Bambina and Puppe dolls with clothes and accessories have been added to the range signifying that this is the strength of the Kathe Kruse doll range.